Alan Katz has devised a unique benefits model that is resonating with employers and consumers alike. First, thank you to everyone for your great response and positive comments about episode one. Your confirmation of the idea of bringing you best practices and great ideas from today’s ShiftShapers is appreciated! With that in mind, in today’s conversation with Alan Katz, we learn why a group of industry veterans decided to start a new insurance company in the shadow of health care reform. Alan is one of the most knowledgeable and interesting people in the industry today and he and his colleagues have a different model that seems to be resonating with employers and consumers. In the interview, we explore the notion that traditional health insurance really isn’t health insurance at all; it is “sick insurance.” We also learn the model they have devised to provide financial rewards to take actions to improve their health. It is an interesting variation on similar efforts carriers have taken over the past few years, and well worth the listen. Don’t miss a lively, entertaining and instructive chat with someone who has shaped a shift at a time when it might have been least expected. Check back here every Tuesday, or subscribe to ShiftShapers at iTunes and don’t miss any of the amazing upcoming episodes. 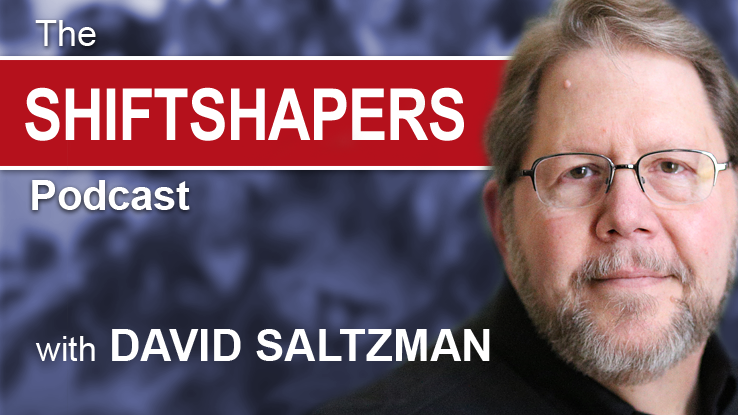 Let us know how you like the podcast by leaving a review on iTunes, and register on our website www.shiftshapersonline for our opening special contest of a free hour of consulting. Three winners will be chosen and announced on the podcast during the first eight weeks.